3-Year Warranty | Custom Computer Systems | Latrobe, PA | Call us today at 724-532-1095! All computers built by CCS come with a 3-year limited warranty. All hardware failures for components located inside the case and the case itself for 3 years from the purchase date are covered. Extended warranties are available. How will the tower be repaired? The component that fails will be replaced by one of equal or greater capability. The tower will be brought to a working state equal to the time before the component failed. Refurbished or used parts may be used. Yes, as long as the original owner lets Custom Computer Systems know at the time of the transfer. What happens when the failed component is no longer available on the market? From time to time, older parts are no longer available on the market. Custom Computer Systems will replace the failed component with a different component that has equal or greater functionality, if possible. The repair work will be done at Custom Computer Systems in Latrobe. Custom Computer Systems may, at their discretion, charge for on-site service. 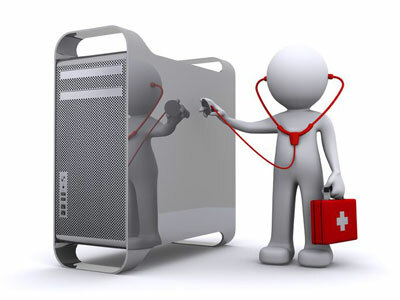 Custom Computer Systems may, at their discretion, make the repair at the customer’s location. Nothing is covered if the customer is delinquent in any way with their payments. Components that were installed by the customer or given to us by the customer to install. Software issues; including but not limited to; operating system errors or failures, viruses, spyware, etc. All external peripherals such as; but not limited to; mice, keyboards, monitors, printers, microphones, etc. These are warranted by their respective manufacturers. Damage due to misuse or neglect. Acts of God such as; but not limited to; floods, electrical damage, fire, wind damage, etc. Damage occurs during transportation. A car accident is an example. Damage or confiscation that occurs due to a criminal act or investigation. Batteries or other perishable power sources. Any data or other important information that might be lost due to hardware failure. Acts of Terrorism, War or criminal activities. If you have any questions regarding our warranties, call us at 724-532-1095 or try our easy to use contact form today!